VitrA T4 is a striking minimal range with stunning angular forms, sure to refresh any bathroom with its up to date, simple and linear aesthetics. 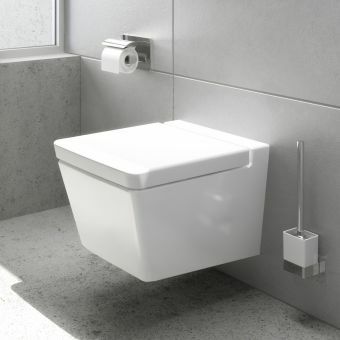 Rectangular without being overly masculine or stark, T4 was developed for VitrA by European leading design house Indeed and has featured in several prestige hotel renovations. 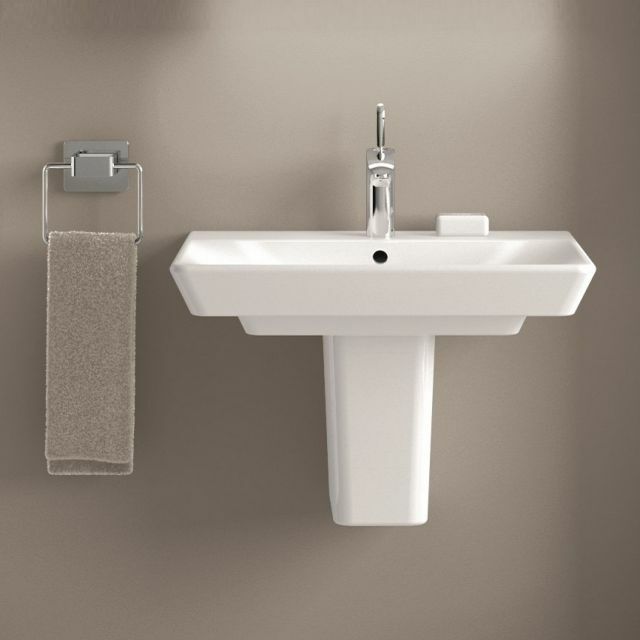 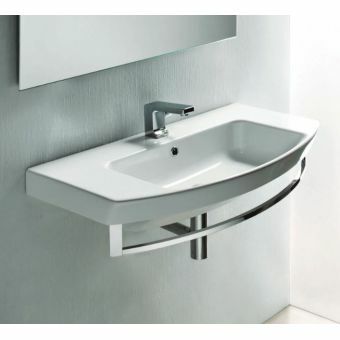 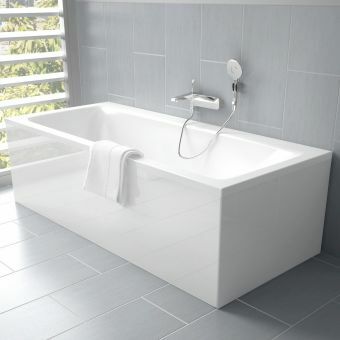 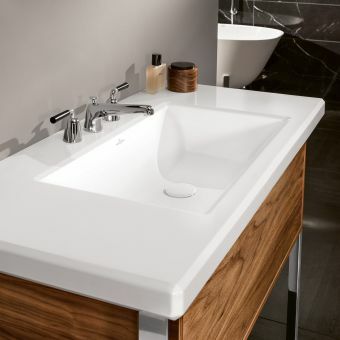 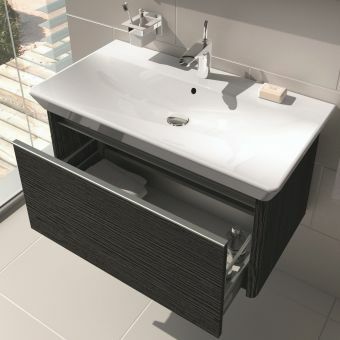 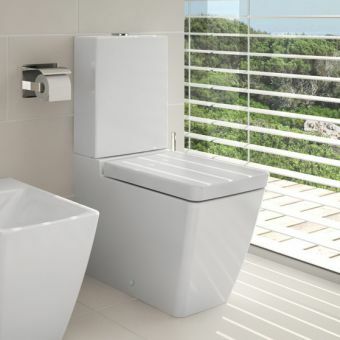 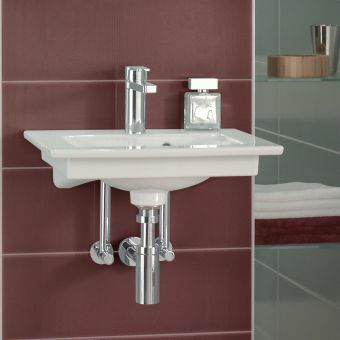 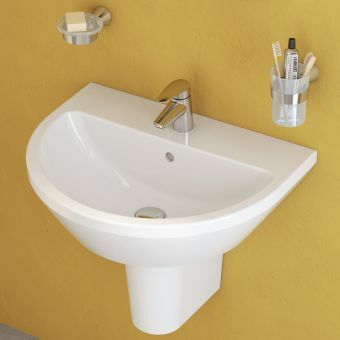 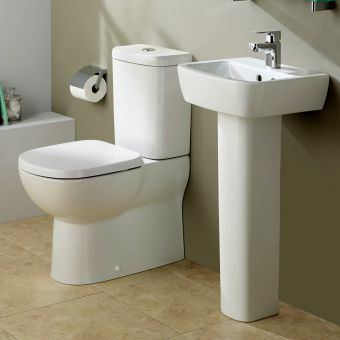 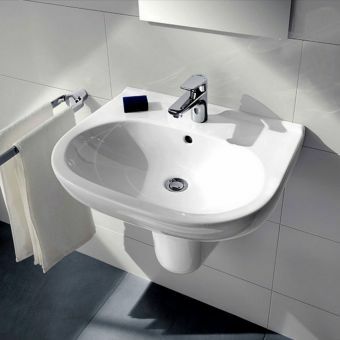 The T4 wall mounted basins are a lovely tactile rectangular form with a clever stepped form that gives it a slim height on the initial visual appearance but has hidden depth thanks to its second tier, meaning you still get a good wash area within the basin bowl, for the perfect blend of good looks and good functionality. 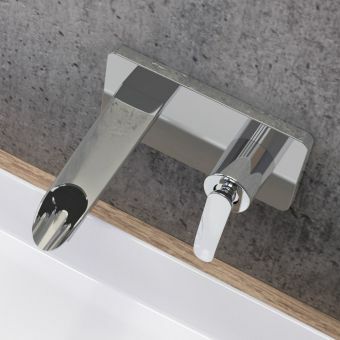 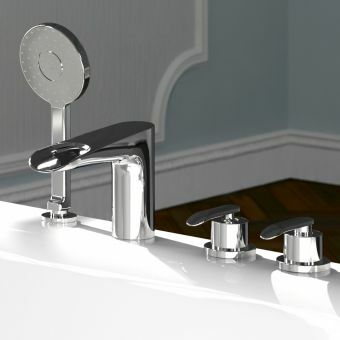 The basin has one tap hole and an overflow and is suitable for any standard mixer tap, fixing bolts will be required in addition as well as brassware. 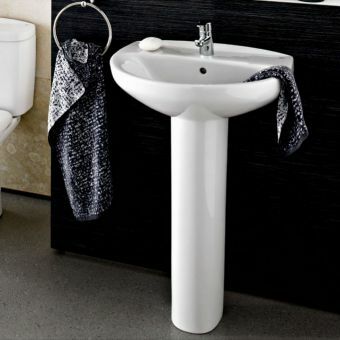 There are options for a full pedestal, a semi pedestal or a chrome bottle trap. 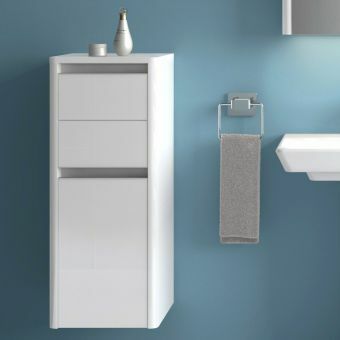 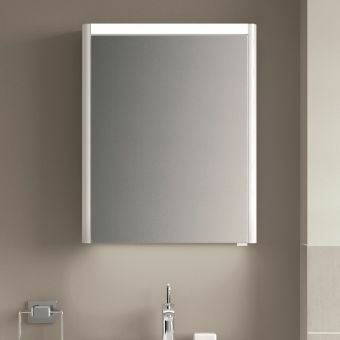 A useful towel rail mounted on the right only can also be added, in keeping with the minimal sure forms of T4 it is simple and stylish, but not without a practical function.